At EPIC Conveyancing, our aim is to keep the legal process for your purchase or sale as simple and easy as possible for you without compromising on quality of service. We will provide you with a free quote upon request for our fixed price fees* on residential houses, vacant residential land and units so you can budget with ease for your purchase or sale. Go to our QUOTES page, give us some details and we will get back to you with your free quote, it is as simple as that! We will also provide you with information about the cost of each individual property search you may require and will also provide you with Links so you can calculate the amount of duty payable on your purchase and the Titles Office Registration Fees so you won’t be caught short by not knowing exactly how much you need to budget for before signing your contract. We believe that the happiest client is a well informed client and we aim to please and keep our clients fully informed at all times. Remember the old saying – “cheapest is not always best”. You may find people who will handle the conveyance for you at a cheaper price, but with EPIC Conveyancing you can be assured that you will be well looked after throughout your sale or purchase. We do not compromise on the quality of our work and uphold the Queensland Law Society recommended conveyancing protocol and standards. We guarantee you our personal service when you deal with us and we will help and guide you through every step of the conveyancing process. We will always be available to talk to or interact via email if that is more convenient for you. We are never far away when you need us. We do not compromise on the quality of our service to you. We value our clients and maintain an extremely high ethical approach to our conveyancing service. We have systems and procedures in place to ensure that all of the most important dates and conditions of your contract are monitored and we will communicate with you at each step. Are you an existing Client? Sweet! You already know how well we looked after you in your previous purchase or sale and look forward to working together again with your new conveyance. Our happy clients are our reward. Thank you for coming back to us and perhaps you have referred us to your friends and family, we will enjoy looking after you and your family again. 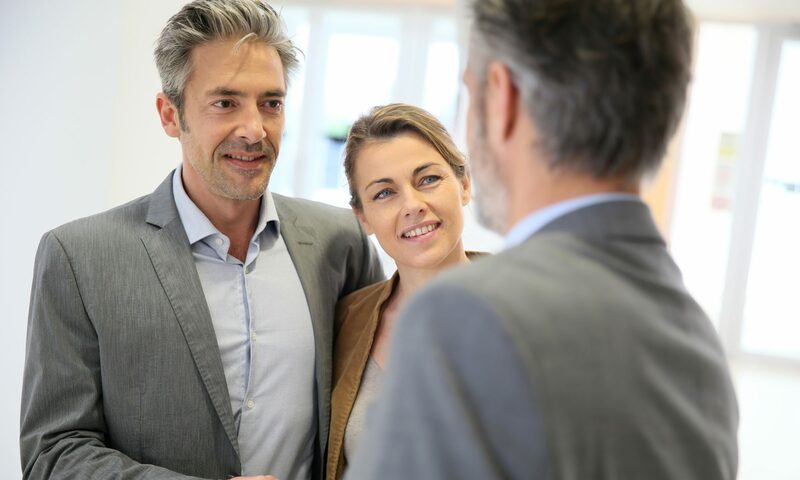 If you would like us to look at the Contract for you before you sign or if you have already signed the Contract, let your Real Estate Agent know our details so we can receive your Contract without delay. Your Contract has critical time frames for your conditions such as finance, pest and building inspections, so we don’t want to miss any important dates from the start. Our highly experienced team could represent many Business Owners, Property Developers and Building Companies in the Hunter Valley Region and around NSW. We would like to assist thousands of families purchase or sell their homes, units, vacant land and farms. Why should you use us for your next Purchase or Sale? We can offer you a wealth of conveyancing experience at a very competitive price! We offer fixed price conveyancing – that means your legal professional fees are fixed as quoted to you. We will let you know all of the other costs involved in your purchase transaction so you can budget for your stamp duty obligations and search costs. With over 30 years conveyancing experience in both residential and commercial transactions, EPIC Conveyancing and its very experienced Team are ready to help you now. We pride ourselves on providing you with a first class conveyancing service that will have you coming back to us time and time again. We will streamline the whole process for you so you will be confident in the knowledge that your conveyance is being handled by competent conveyancing lawyers and conveyancers at a great price and without compromising quality and compliance. Our conveyancing Paralegals and staff are experienced in all areas of Residential and Commercial Conveyancing so if you are buying or selling a house, unit, vacant land, farm, commercial buildings or land we are the Team you are looking for. The amount of duty payable on your purchase depends on certain factors i.e. whether your purchase is your very First Home, Vacant Land to build your first home, Primary Place of Residence or investment. We have put in the link to the Office of State Revenue so you can calculate the amount of Duty you must pay on your purchase. This will help you budget for your purchase transaction. When do I have to pay the Duty? Duty is payable prior to settlement. The Office of State Revenue requires stamp duty to be paid on your contract within 30 days from the contract becoming unconditional. However, if you have a Bank you are borrowing money from for the settlement of your property, the Bank will require a Stamped Transfer to be handed over at settlement ready for registration in the Titles Office. Therefore, we will require clear funds from you at least 2 working days prior to settlement so we can stamp the Transfer documents in readiness for settlement. You could bring us a Bank cheque made payable direct to the Office of State Revenue. We will talk to you about the easiest way for you to pay your Duty during the conveyance process. How do I know if I am eligible for a First Home Owners Grant ? You may be eligible for a Great Start Grant (formally called “First Home Owners Grant”) or a duty Exemption because you are either buying or building your first home. Email us and we can give you a quote for duty or if you would like to find out more information yourself, we have provided the link to the Office of State Revenue website which has a Grant calculator for your convenience. I am selling a property and have a swimming Pool. What should I do before I list the property for sale? You should contact a local Swimming Pool Inspector who can come out to your property and issue a Swimming Pool Safety Certificate which you are require by law to provide to any prospective Buyer. The cost will depend on the inspector but it could save you the problems that will occur if you leave it until you have a contract. You may have to fix a few things before the Pool and fencing will pass inspection. We have provided below the link for the Queensland Government Swimming Pool Safety site so you can be sure you have everything in order before you sell the property. What does a Title Search do? A Title search will confirm the property description of the property you are buying, it will also provide the full names of the seller and whether there are any encumbrances registered over the Title e.g. registered leases, mortgages or caveats. How would I find out if the seller is a Bankrupt? You can ask us to carry out a National Bankruptcy search of the seller/s. In fact, it is a very important search which we always suggest you do prior to settlement. 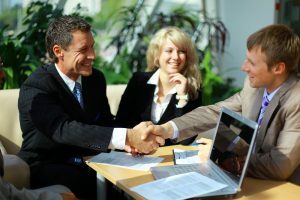 If the seller has filed for bankruptcy and is trying to sell the property to avoid creditors, then the Appointed Receiver or Administrator in Bankruptcy can overturn the transfer to you. The bankrupt must obtain the consent of the Appointed Receiver or Administrator to the sale of the property before either party can sign a contract. You may end up not owning the property or worse still, you could lose your money and have to fight in Court to try to recover some or all of it back. It is very expensive to go to Court, so that can become another problem you may face. How do I find out if the land is Contaminated? We can carry out a Contaminated Land Register search to ascertain if the property you are thinking of buying is contaminated. If there was any activity on the land such as a service station, mechanical workshop where oil and petrol products were stored on the land, fuel depots, commercial cattle dips are all activities that could contaminate the land. There are lots of different situations where the land could be contaminated and a search will let you know if there were any registered activities that should be brought to your attention. It can be very costly to rectify the land to make it safe.